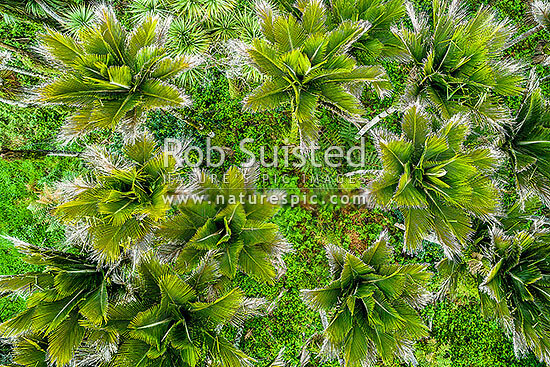 Nikau Palm tree canopy, looking down on foliage and fronds. Nikau (Rhopalostylis sapida) palm tree endemic to New Zealand. Aerial view, Barrytown, Grey District, West Coast Region, New Zealand (NZ), stock photo.